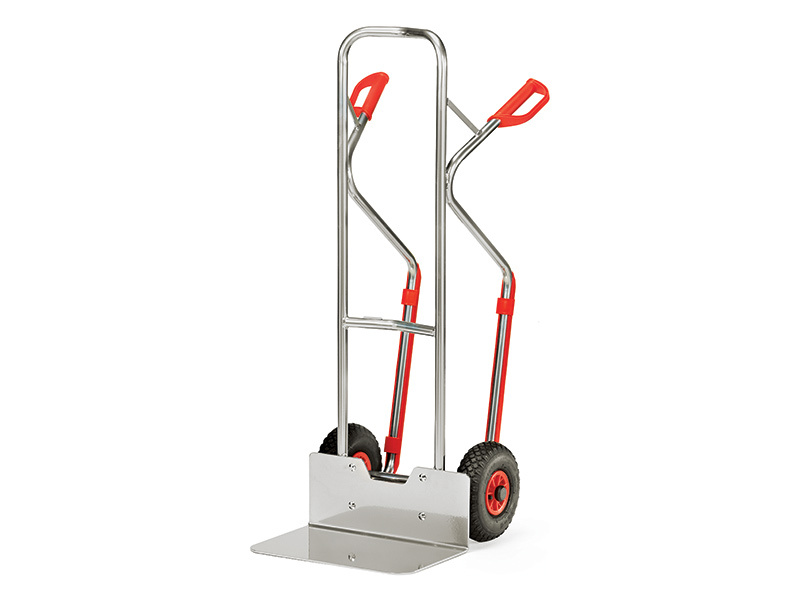 This lightweight aluminium sack truck is extremely strong, the sack truck can carry heavy items, crates, sacks and other types of bags conveniently from one place to another with least amount of force. 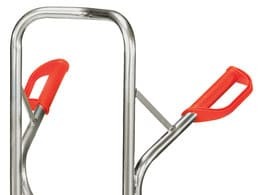 Our lightweight aluminium sack trolley is easy to use and offers two pistol type handles making it comfortable to move, turn and manoeuvre the sack truck between spaces. Its large yet strong back supports heavy and oversized loads. In addition everything is being carried by ever reliable strong wheels which ensure a smooth ride over various terrains. 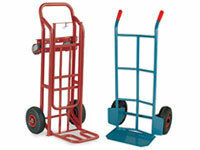 Lightweight aluminium sack trucks are ideal for commercial, retail, business or domestic use. Grocery stores, warehouses, retail locations, shipping offices, mail rooms and other places that need to move loads regularly make ideal candidates for this product. Similarly, it can also be used in garage to move equipment and tools. Stores or locations that have delivery vans can benefit by adding the lightweight aluminium sack truck to their fleet equipment list. The truck is small enough to fit in the rear of the vehicle without using precious space, but is light enough to make its use manageable on the go. Constructed from prime tubular aluminium, our lightweight aluminium sack truck has the capacity to carry up to 200kg at a time yet weighs only 10kg . Its footplate is 300 mm long & 480 mm wide that provides ample room for most types of sacks. Its pneumatic tyred wheels with roller bearings make it a smooth performer. The Workplace Depot offers a standard one year warranty on all parts and labour. Our lightweight aluminium sack truck fully complies with all local council and government regulative manufacturing requirements to ensure the safety of your customers and staff. 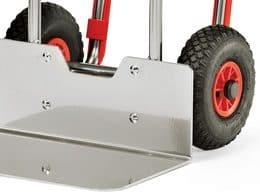 These lightweight aluminium sack trucks are made from suitable yet durable material in order to ensure quality and are manufactured to ensure the longevity of our products.